Discussion in 'Classifieds' started by coloradorider, Apr 16, 2019 at 2:35 AM. 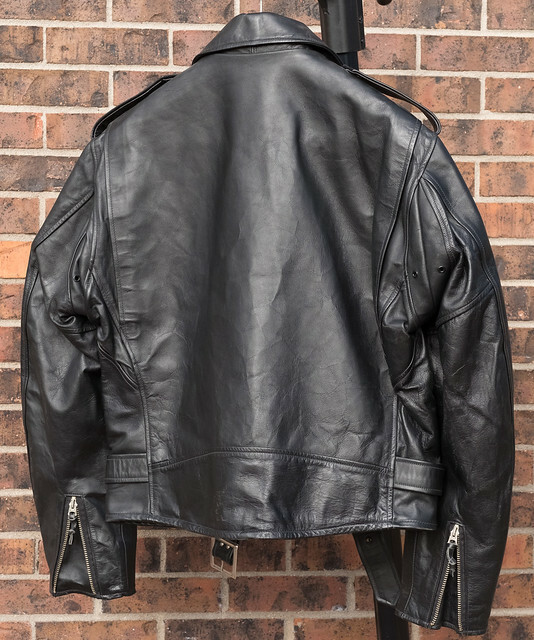 Lost Worlds Flamingo branded vintage motorcycle jacket in Size 46 in very good condition. 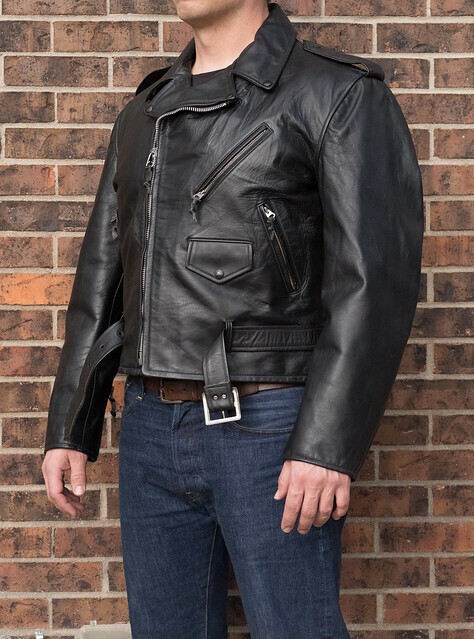 I am the second owner of this jacket this jacket is too motorcycle specific for me since I don't ride now. It is made of a very grainy black cowhide. 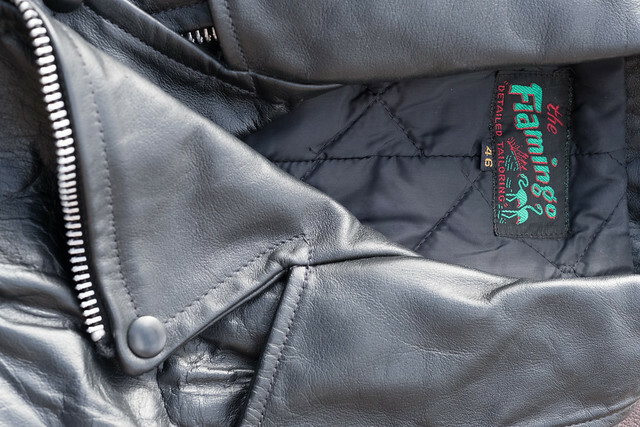 This is branded Flamingo and uses a lighter weight grainy leather, probably 2.5-3oz, instead of the super-heavy leather used in the Lost Worlds branded motorcycle jackets. This is a lighter, more flexible, jacket than the 4 oz stuff Stuart uses in his other jackets. I believe this is cowhide but I'm not 100% confident on whether it is cowhide or horsehide since it isn't tagged. 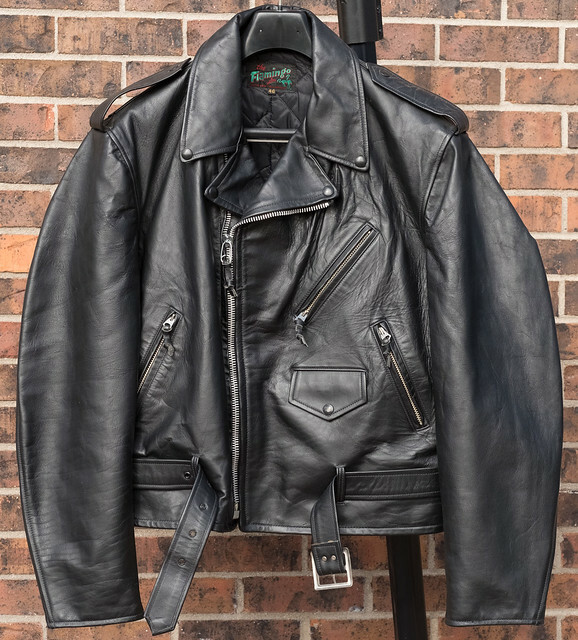 This is a very comfortable quilted lined motorcycle jacket in lighter weight leather. The pockets are lined in black cotton drill. This is very similar to the Lost Worlds Speed Demon in style but the leather is light weight like a modern A2. I'd like to sell this jacket for $400 shipped/insured in the continental US if you use Paypal friends and family from a bank account or Venmo. $450 if you'd like to use Paypal with a card. I'll charge actual shipping rates for international buyers. 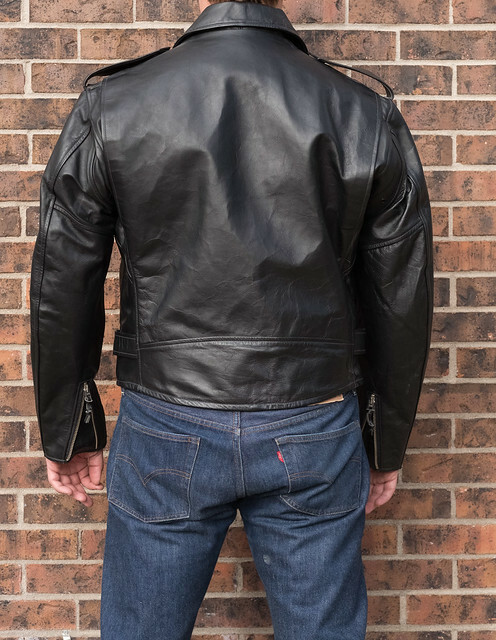 The jacket measurements are described here for comparison to a jacket that fits you well. 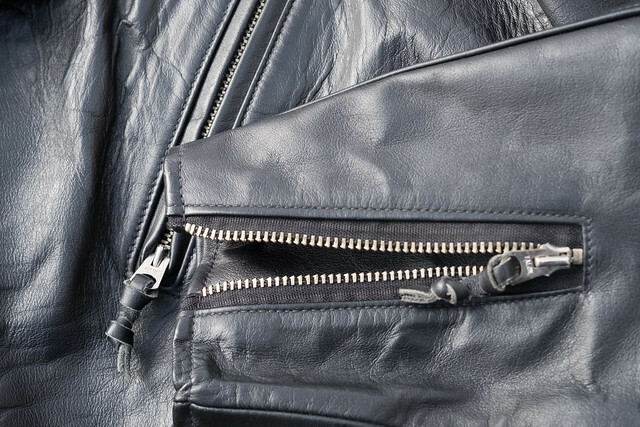 Pit-to-pit is measured with the jacket laying flat across the chest from lower arm seam to the opposite arm seam. Sleeve is measured along the "outside" of the arm from the top of the shoulder seam to the cuff and is not a straight-line measurement. The shoulder measurement is straight across the shoulders from shoulder/sleeve seam to the opposite seam. The back length is measured from the collar seam to the hem straight down the middle of the back and doesn't include the height of the collar. 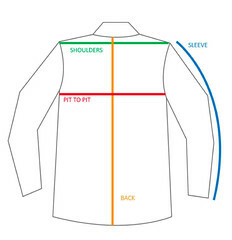 The front length is measured from the middle of the neck to the hem straight down the front of the jacket (essentially down the zipper line on a straight-zip jacket). Please confirm this jacket will fit you. I've included a diagram of these measurements in the pictures. Please don't hesitate to contact me if you have any additional questions. There are some Flamingo Branded items at Lost Worlds site so you can compare the labels, Flamingo at LW. Stu seems to put these on his 40-50's vintage special edition jackets. The Wild One came out in 1953 so the timing seems right. Not the jacket for sale. Your in Colorado? I am in Westminster. Possible to try a fit first?